Colourful blinds and patterned window shades: we can’t resist them! Gone are the days when blinds and window shades were only used to create privacy and cut off daylight! They are now considered as decorative objects bringing a unique touch to any space. Professional Decorator and Advisor Stephanie Binzberger, from Deco Surfaces Laval tells us everything we need to know about this current trend. 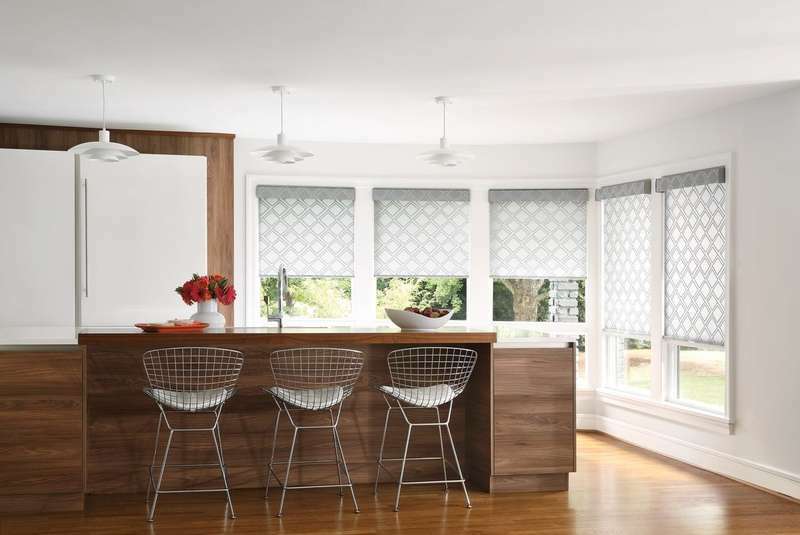 Both classic and chic, these window shades are timeless. S.B: This new way of dressing windows has recently arrived in America from Europe. And people has embraced it! Why? Because window shades offer a more practical and functional side than curtains, in addition to creating a more modern feel. 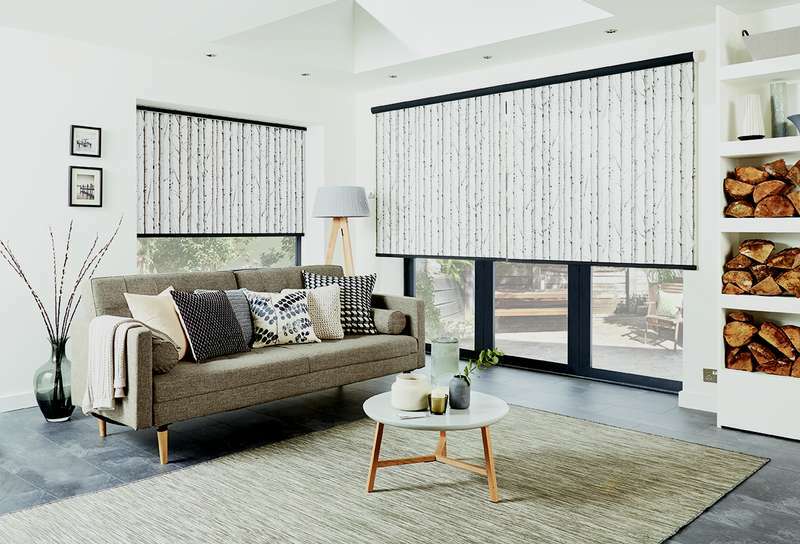 S.B: Roller shades remain an economical product because their mechanism and manufacture are inexpensive. However, prices may vary depending on the textiles and patterns chosen. S.B: Quite the contrary! Since it is not uncommon for us to choose neutral colours for our furniture and paint in our home decor, it can be interesting to add a pop of bright color to a room. It can be a cushion, a frame, but also having a vibrant window dressing. Nothing better than colour to give a unique aura to a room! In this room, the window shades are the centerpiece since everything around them are neutral. S.B: Absolutely! Solar shades have been trendy for a long time. It’s a classic. They can be found in shops as well as in houses. It’s the choice of colours and patterns that will determine whether your decor is timeless or whether it will go out of style. Tip: To make it timeless, dress your window with a shade that recalls a hue already present in the room. For example, the colour of the counter, the floor or an important decorative element. There is a wide selection and different styles of window shades in Deco Surfaces stores and our Professional Decorator and Advisors can help you. S.B: Different opacity levels are available. The textile chosen for the window shade will be decisive: some are more translucent than others. It’s up to you to choose what best suits your needs. Usually, we look for more darkness in a bedroom, but retain brightness in a kitchen without compromising the need for privacy. S.B: This type of blind is fabulous, because they are low-maintenance. Being installed vertically, the fabric does not retain dust which saves us time in dusting. After a few years, an ultrasonic treatment may be necessary to remove accumulated odours or dirt. It all depends on the textile fibers chosen at the time of purchase. PVC or any other plastic fiber are the easiest to clean. S.B: For a contemporary look, I suggest a chic metallic effect blind, while a classic decor will be easily created with satin arabesque fiber. Imitation linen, patterned branches or checkered fabrics will bring a rustic touch. If you want an urban look, opt for a plain, translucent finish in marine blue or forest green. And if you dare a bold and bright decor, you will need erased patterns with bright colours or even large geometric prints! Looking to create a rustic-style atmosphere? This branch pattern window shade is an ideal choice!